During our summer Hike & Paint Program, students will be painting and drawing at a variety of local picturesque places (i.e. Ramapo Valley Reservation and Franklin Lakes Nature Preserve). This morning session begins with a light, slow paced hike. 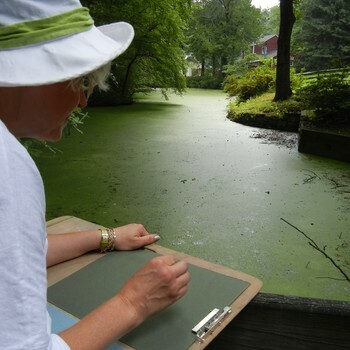 Students can pick where they wish to set up to plein air paint/draw each session. You will receive instruction in the fundamental techniques of pastels, charcoal, and watercolor paints. Learn how to paint skies, trees, plants, lakes, clouds like an expert! Beginners and advanced artists welcome! Advanced artists will be able to work at their own pace. or visit our programs page to register for 5 or 9 week sessions for a discounted price.